Our Dining Room menu focuses in modern flavours paired with innovative desserts. Tantalise your palate with our 5 Course Dinner Menu or 4 Courses of Just Dessert Menu. Thank you very much for the excellent service and the incredible tasting menu. I am writing this note only to tell you that it is important to take care of the cleanliness in the bathrooms. There were papers on the floor, this gives very bad image for a restaurant in its category. It was very good. The food was very nice and I was blown away by the texture that came with the food. Truly an unforgettable experience. 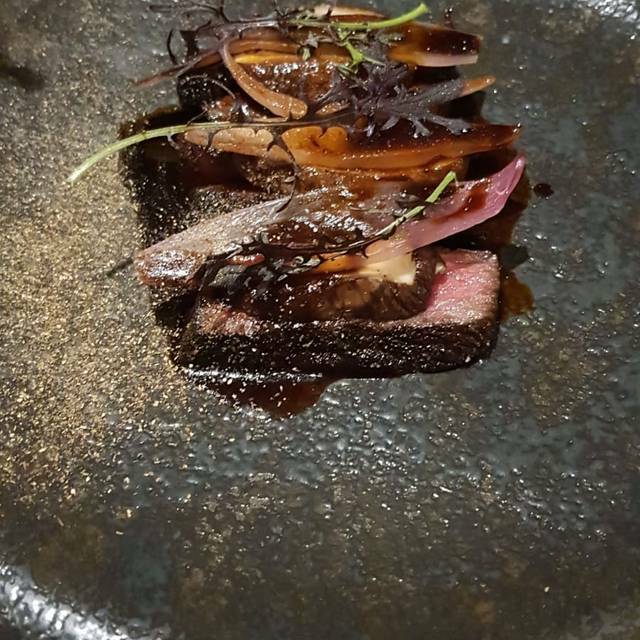 From the set menu $88/pp I and the other 3 people in our group only like the beef. The rest taste so weird. Except the dessert. Wow what an experience. We had the dinner tasting menu and it was amazing. Really interesting dishes such as the pumpkin rendang which has little bursting yogurt balls, the bread with sambal butter was yum, the veg option of enoki mushroom ‘pasta’ was so beautiful and flavourful and my favourite dish. 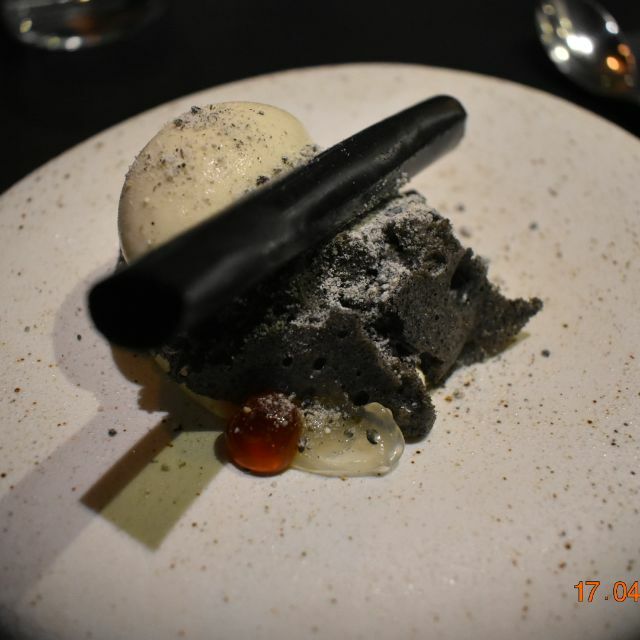 Desserts were so great, interesting and creative flavours such as the binchotan (jasmine tea, charcoal and other all in one yum!). If I had one thing I would change is the fish dish- Bonito can be a bit tough or dry. There are other white firm fish which could work better. Cocktails and wines were delicious. Service was warm, friendly and welcoming. Highly recommend dining here, treat yourself to this special experience! The best way to experience an awesome dessert journey as created by Reynold. Must try when you’re in Sydney. Expected great desserts but entre and mains exceeded expectations. Good cocktails and wine list. All served by friendly and knowledgeable staff. We visited on the recommendation of a friend, and it did not disappoint. I just wish we had room to consider buying some treats to take home! Wonderful set menu at an affordable price. If I'm honest, I was surprised how wonderful the savoury dishes were, in my opinion even better than the sweet ones. The balance of flavours was spot on, well presented and service was great. Would definitely come back when winter menu is on. Always wanted to try Koi Dessert Bar as I am a big fan of Reynold. The ambience of Koi is quite elegant and not too noisy and the 3 of us gals were able to chat whilst having our dessert tasting. Reminds us of Alice in Wonderland. 1. Rabbit Hole starts with a test tube like drink puree of lychee. 2. Magic Mushroom is my favourite. 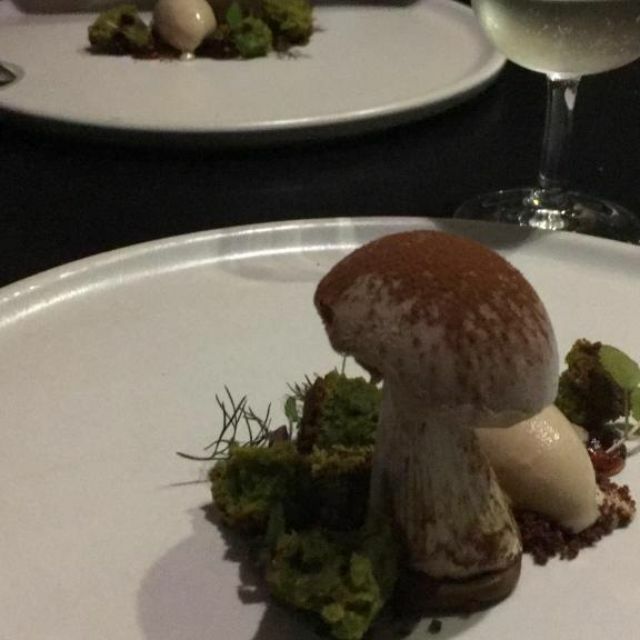 The ice cream reminds you of mushroom soup and the mushroom reminds us of tiramisu. 3. Tweedle reminds us of Easter with the egg and garden around it, very delicate. 4. Red Queen is another favourite with cute heart shapes and white meringue. 5. The End is delicious with salted caramel in chocolate coating. Will be back again to try other desserts at the Cafe and the food. It was a wonderful experience however it was hard to hear and understand the waiters when they were telling us about the plates. I would recommend Koi to my friends and family as the desserts are very creative and well presented. 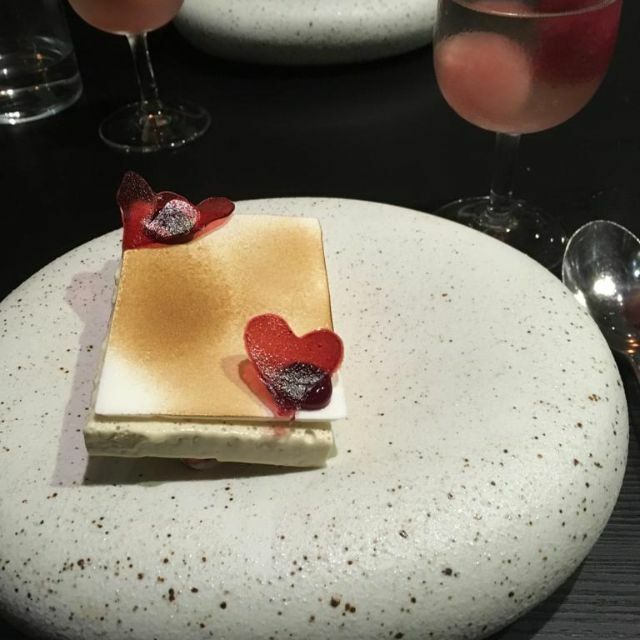 The desserts were amazing and enjoyed the experience but the matching drinks did not get served in a good timing with the dishes. Food was absolutely fantastic. Each course screamed masterchef. I had the 8 course tasting meal and it was delicious. Cocktail wise - Quantity was a bit lower than most other dining places. Dining price and service was consistent with the fine dining atmosphere. One thing I would stressed though - people who booked needs to have a signage that would direct them to a person who would greet them instead of queuing up behind people buying sweets. When in Sydney this is a fabulous food experience to enjoy. Great night full of incredible desserts! Waiter was very attentive. I mentioned that we were celebrating a birthday and one of the desserts came out with a candle. Thanks Koi! We had heard a lot about this place from Masterchef Australia. It did not disappoint! We chose the set menu for dinner. Everything was perfectly balanced and thoughtfully put together. The smoked oysters were party in our mouth, the fish was beautifully cooked, and the pork main was tender and fell apart. But the highlights were the desserts. Looked like artwork on the plates and delicious to the boot. AMAZING ! Menu was incredible, attentive staff, generous cocktails! Can’t wait to return! Do yourself a favour and book soon to experience this incredible menu! Amazing food and amazing service particularly for the price. Highly recommend! Lovely staff, food looks picturesque and there was literally no wait for the food. The food was pricey, however it is an ideal place for a date or anniversary, where you can spurge a little. I would highly recommend the place especially for people that have a sweet tooth and/or Instagram foodie addicts. The duck breast was amazingly brilliant and I would go there again for it. I overall loved the experience at KOI. However, there are a few things to be improved. The booking instruction a bit confusing. The portion of the food was really small. The main at least has be to decent if other courses were small. but the main was about 2/3 a main portion it was supposed to be. Next time i still want to try. However, when the food come to small, it is a bit frustrated when you are off enjoying the food. you still want to enjoy but there is no more to eat basically. Impeccable service level & very polite & professional staff. Very attentive to detail with constant followups by staff. No delays in between each dish. This was my second time visiting KOI on special occasions. Consistency of high standards was definitely noticeable compared to my first visit. My favourite dish was the 'grilled pumpkin with coconut rendang'. Simply amazing! I will definitely be coming back for many more visits! Thanks KOI & team! My boyfriend and I were here for the special Valentine's dinner menu. The grilled pumpkin dish was delicious and so was the duck breast. The WA mud crab dish was lovely too. Both desserts were lovely especially the geranium whipped ganache. Although the food was a little slow to arrive at times (it's understandable considering it was a very busy night), the staff were apologetic and the service was always friendly and attentive. Great experience! Absolutely fantastic service, everything on the set menu was excellent, modern, and beautiful. We drove down from Paterson. Just to eat here and it didn't let us down. We would make the trip again. Highly recommend Koi. Great place to go to when you're in Melbourne. Would definitely go back! This was my second time at koi desserts and have really enjoyed it both times. My only gripe was that there were no matches wines/drinks with each of the courses. When we asked for suggestions, we were given some but with very little explanation/knowledge behind the choices. Food was beautiful. We did the 4 course dessert tasting and it was amazing. The presentation was just as beautiful as the flavours. Seemed to be a few new staff, but the only (if only) fault. Place was great, can’t wait to dine here again! Thanks for a fantastic evening. Second visit. First was for the dessert only menu - a great experience. This was for a balanced meal. Verdict. Its called Koi Dessert Bar for a reason. Great place for a special occasion visit to enjoy the fantastic desserts. The mains are creative and show glimpses of brilliance, but portion control is an issue. hence the low value for money rating. Service is attentive, but it took two or three goes to get the message across, I'll wear the bulk of that one, but it it was more noticeable at this venue than others, even ones with higher ambient noise levels. Will I be back? Not going out of my way, Sydney has plenty of other places to explore. Will keep an ear out in case there is some reason to move Koi onto page one of places to go, again. Lovely evening. Had the four course desert menu. Was a must for me as having watched Australian Masterchef back home in the UK. I wasn’t disappointed at all. Not only were the deserts lovely but also the cocktails too. Staff were lovely and friendly. To expencive for a very small serve. Other places serve bigger quantities for slightly more price. End of the day, I was still hungry. I’ve been there last time for my birthday dinner party with husband and little baby (9m old). I’ve booked table already but when i asked them for a high chair, they said there’s only one high chair but s.o else already booked. What a joke! It’s big, fancy and famous restaurant but only have one high chair. 😂😂😂 Then we decided to come back for dessert only, the waitress came and gave us the reserved high chair before. I don’t understand that they don’t want to upset the customer or they don’t really have money to buy another high chair. Then after that, we’ve ordered the food. I thought that it’s been cooked for a while, not hot. The food is normal but good looking. Only recommend for dessert. Very good taste and decoration is nice too but pricy.